Jonathan Rea has broken more World Superbike records with his ELEVENTH successive race victory. Eugene Laverty had been fastest in practice but could only finish fourth in the first race in Qatar, behind winner Rea, runner-up Tom Sykes and third placed Alex Lowes. So which records has Jonathan Rea broken now? 1. Consecutive World Superbike race wins, increasing his own record to 11. 2. Tied the most race wins in a single World Superbike season at 17, alongside Doug Polen who set the target back in 1991. 3. World Superbike victories with a single manufacturer at 56, surpassing Carl Fogarty's Ducati record of 55. When is the second Qatar race? Rea will now look to add one final win of the season in the final race tomorrow at 5pm BST. 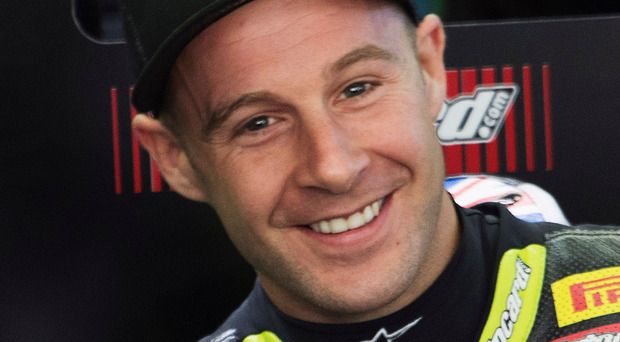 What records can Jonathan Rea break tomorrow? A race win would obviously extend the above records, surpassing Doug Polen's season victories total. A fourth place finish or better would see Rea break his own record points tally for a season; the 556 points he amassed last year.